SIDEWALK CHRONICLES: Any typical day. “F*** you, lady! This is my third abortion!” I suppose she said that with the best of intentions? Of course not; clearly she was angry with her decision to be at the abortion facility AGAIN for doing the exact same thing AGAIN expecting different results AGAIN. All too often women come back to abort again because they cannot break the cycle. Another woman said she has six kids already even though the abortion was for her young daughter – apparently this girl had the same conversation with her mom that I had with mine 35 years ago…that she isn’t raising anymore kids. Today there was a little bit of everything; Dad and his daughter [I hope], moms and daughters, some couples and a bunch of young women that came alone. I do believe we had one save, THANK GOD. 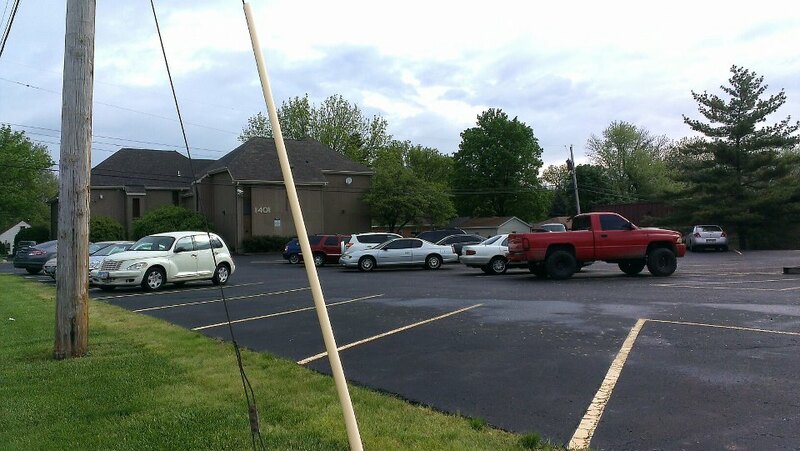 It troubles me to see women going into the pregnancy center and then right into the abortion facility’s parking lot. I have to wonder if there is a weak link at the center. All I know is that if I had that opportunity 35 years ago for someone to tell me I did not have to kill my baby, I would have a 35 year old child instead of a horrific memory of feeling as though I was raped by my entire family, the system and the abortion facility. I hate seeing cars in this lot. “But it came to pass on the seventh day that they rose early, about the dawning of the day, and marched around the city seven times in the same manner. On that day only they marched around the city seven times. And the seventh time it happened, when the priests blew the trumpets, that Joshua said to the people: “Shout, for the Lord has given you the city!…….So the people shouted when the priests blew the trumpets. And it happened when the people heard the sound of the trumpet, and the people shouted with a great shout, that the wall fell down flat. Then the people went up into the city, every man straight before him, and they took the city.” Joshua 6:15-16, 20. Yes, ALL WILL COME TO PASS. Previous postArming the Abortion Agenda with…Ladies Arm Wrestling? Next postAbortion in Louisiana – Planned Parenthood is comin’ to town.